I am feeling a little nostalgic right now looking at that opening paragraph. You see, I have been hosting Library Loot for just under 4 and a half years. 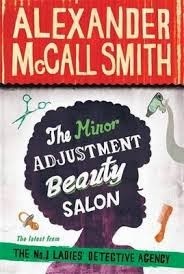 Initially I was co-hosting with Eva from A Striped Armchair and later with Claire from The Captive Reader and I think in all that time I have maybe missed posting a half a dozen times, if that. Given that I was actually participating before that, it is probably longer. I have recently been thinking though, that it is time to make some changes. Whilst I still imagine that I will be participating in Library Loot, it is time for me to step aside from co-hosting. Claire is intending to continue with Library Loot and so she is looking for someone to help by hosting the LL post every second week. I can promise you that it is pretty painless most of the time, so if you think that you may be interested then get in contact with Claire before December 12. I will continue to host for the rest of the year, or until a new co-host is found, whichever comes earlier. Just in case this happens quickly I just wanted to say thanks to everyone who has posted Library Loot and visited me as part of the meme. Looking for Alibrandi by Melina Marchetta - My journey through Melina Marchetta's backlist continues with this, her first book. 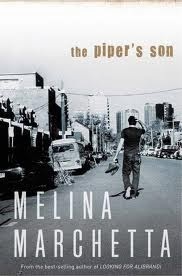 The Piper's Son by Melina Marchetta - Yes again. I am currently listening to this audiobook for the third time in a few months and yet I still cry. So good! 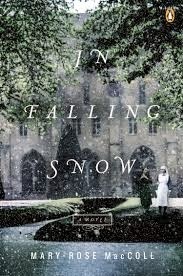 In Falling Snow by Mary-Rose MacColl - Reloot. Bella's Wishlist by Emily Forbes - The next book in the Sydney Harbor Hospital medical romance series. Thanks for hosting LL. I recently joined off and on and enjoy this meme. Your Marchetta love affair just keeps getting stronger doesn't it? I'm very jealous, and feeling more and more guilty that I've never read any of her books. Perhaps 2014 will be the year? Goodluck with the changes. I hope you'll keep posting your library loot though, I always enjoy seeing what big library users are up to. I don't go often enough to make it interesting for anyone. I'm giving up hosting What's In a Name this year too -- sometimes it's good to let things go. That's sad, Marg, but it happens. Enjoy your loot! Thanks for hosting , I always love to see the loot and that there are some fantastic libraries out there. (Mine, sadly is not - yet). 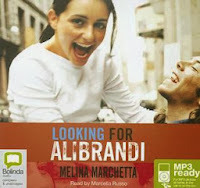 I bet Looking for Alibrandi is a fun one to listen too - love that book.